24-7 Van Lines have reviewed current industry standards in regard to safety procedures, in addition to state and federal regulations, and have concluded that improvements can be made on a massive scale. The company will therefore hold a series of expositions in order to share their new safety standards with other companies and the communities which they all serve. 24-7 Van Lines is planning to revolutionize their current safety programs and procedures in order to give employees, clients, and members of the communities which the company serves a safer environment. Steps to be taken include vehicle safety compliance measurements made more often than federally mandated, new training programs which aim to reduce and prevent accidents before they happen, and the introduction of a new department made up of driving specialists and technicians who will consistently update the company and public on new safety operations and statistics. The new branch of driving specialists and vehicle technicians will be in charge of maintaining the new safety programs, and are currently organizing the upcoming safety exposition. The expo will be held in Santa Monica, as Santa Monica movers on average have one of the lowest national rates of accidents in the country. This team is working currently setting up their new office while coordinating with industry leaders and company executives in order to determine specific tasks and monthly goals. 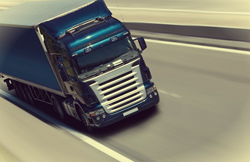 They intend to hold routine training exams for all company drivers and trainers in order to ensure that the people who are responsible for other individuals or teams of individuals are constantly aware of new and old information alike. In addition, meetings and seminars are currently being planned on a rolling basis. Rewards will be offered to drivers who maintain excellent safety standards over extended periods of time. Monthly bulletins will be posted among all branches of the company in order to ensure the workforce maintains awareness of the new programs. The team is also choosing to inform other Santa Monica movers of the new protocols in order to sponsor a nation-wide program. A company spokesperson for the Commercial Movers commented on the coming changes: "We want everyone to be as safe as possible, whether they're in the office or on the road. In order to do that, sometimes we have to start new programs. Many of these programs will be based on new technology being used for our fleet of moving trucks. Our employees are simply being taught about new safety methods." The event is expected to take place at locations around the country simultaneously, and details will be posted to the company website as soon as they become available: http://247vanlines.com/.